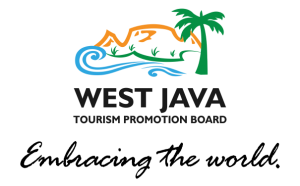 Cianjur is a town and district in the West Java province of Indonesia, and is the capital of Cianjur Regency. The town of Cianjur is located along one of the main roads between Jakarta (120 km to the northwest) and Bandung (60 km to the east). Because of its location, some of Cianjur’s residents commute to work either in Bandung or in Jakarta. The road on which Cianjur is located used to be the main (extremely busy) road from Jakarta to Bandung but was in effect replaced as the main road link between these two main cities when the Jakarta-Bandung tollroad was fully completed in 2005. Cianjur was founded in 1677, with the first head of the town being R.A Wiratanudatar I, entitled Dalem Cikundul, as the descendant from the old Sundanese kingdom of Pajajaran. The district mainly produces agricultural products, especially rice, and it has been known as the major source of rice production for the heavily populated Java island besides Karawang.